Some of us are used to being able to visit a website to directly download a new update for a smartphone or tablet. Google does this and OnePlus does as well, but even community members maintain websites for other OEMs as well. 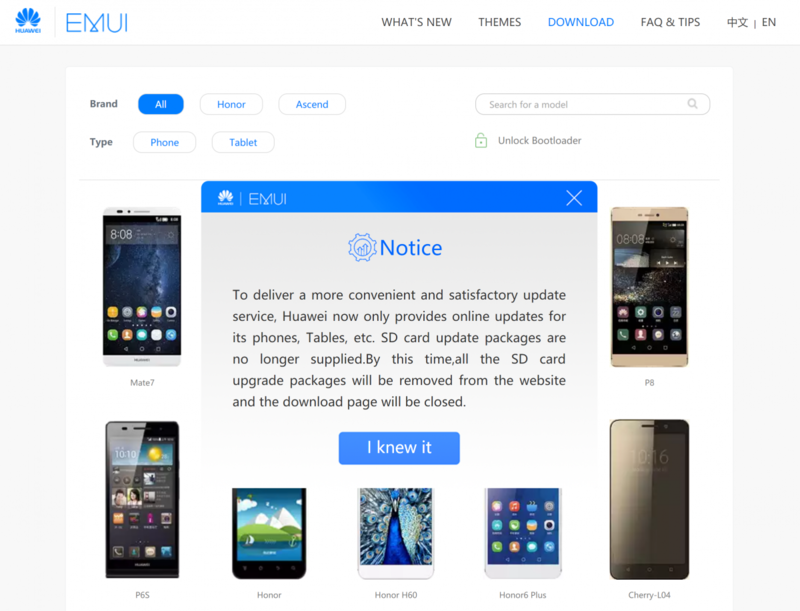 Huawei used to do this via a downloads page on the emui.huawei.com website, but XDA Senior Member RedSkull23 just brought to our attention that this is changing. If you visit this downloads page right now you’ll be greeted with the following message. . .